1. After having spent years and years perfecting your skills and teaching them to many students, are there any skills or particular things you just keep getting wrong or at least, struggle with a lot every time? Greetings from Belgium, Ruud. Answer: There are many skills that I have wrestled with at one point or another. Part of learning something thoroughly is going through the hard times, solving problems and finding and honing the details. Once this is done, the journey doesn’t stop as most of our skills are perishable and require constant maintenance. This is probably one of the things that is the most difficult to do. It is easy to become complacent with the things that you have learned and it is essential to make an effort to maintain and improve your level of competence. You are never an expert. 2. I have had to make a few rhymes, and stories, to help my kids out on remembering the Evenk hitch, taught-line hitch and single fisherman’s knot, but I wonder if I could put the question to more experienced Woodlore staff: What’s the best mnemonic, rhyme, or story, for teaching kids a particular knot? 😉 Thanks in advance and best wishes to you all! Best, Paul. Answer: This question takes me back to my childhood when I was in the Cubs and then the Scouts. It seems a long time ago now but there are two mnemonics that I still remember from learning knots at that time. 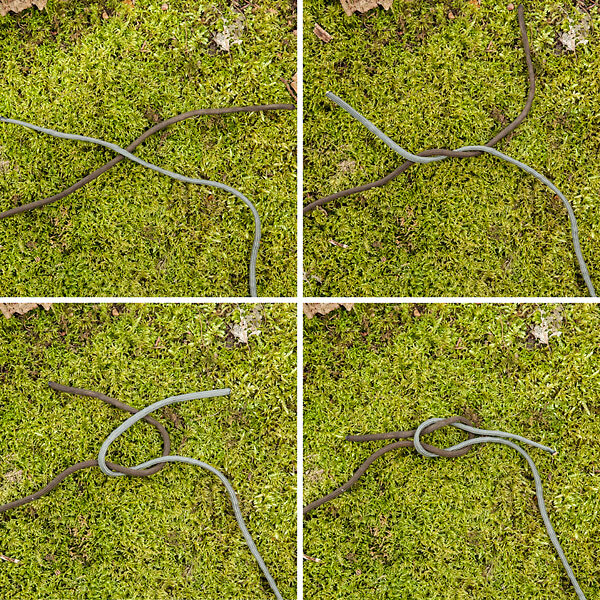 The first is for tying that classic Scout knot, the reef or square knot, and it runs: Right over left and under; left over right and under. Simple but easily remembered. 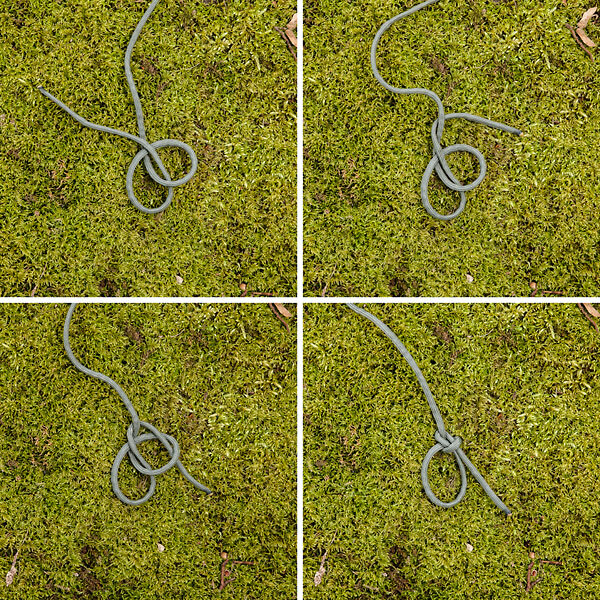 The second is for tying a bowline: The rabbit comes out of the hole, goes round the tree and back down the hole again. Tying knots is a very useful skill and it seems that the more you tie, the easier they become to learn. I find that the easiest way to remember them is to use the knots that you learn and tie them repeatedly until the muscle memory is formed and the learning embedded. 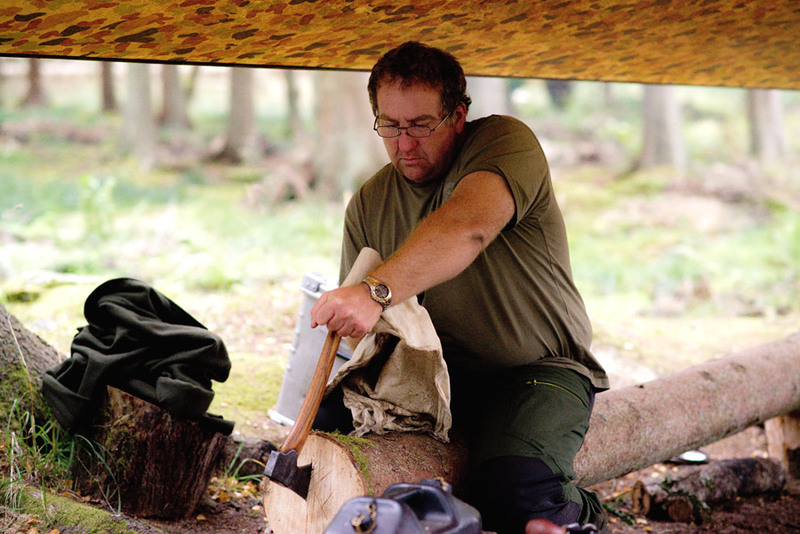 Answer: I think that Bushcraft has huge potential for developing the types of skill that you mention but in my opinion, both the viability and the risks of such an approach are dictated by the same essential factor. The key to any successful learning programme is to have experienced and passionate teachers. Without an understanding of the subject that comes from spending time living with the skills and without the passion and drive that are necessary to gain such experience, there is a risk of not giving the students what they deserve. With the right people in place, the potential is there to provide rich learning experiences and promote a love and understanding of the natural world. 4. Hi Keith, congratulations on the new knife. Answer: Thank you for your very kind offer. If it’s the hollowing of the kuksa that is the stalling point of your carving, just take a little at a time. Any beer can be forwarded to our P.O. box address. Answer: Ever since “The Forest People” appeared on my university reading list, I have wanted to visit the pygmies of the Ituri forest. The book is a magical and inspirational read and I have always wondered if it was to some degree romanticised. I have been assured that this is not the case but unfortunately the area of Africa that this book refers to is now a very dangerous place to be and the pygmies of that area are now living a less traditional life. To be able to visit these people at the time when Colin Turnbull was writing, would have been an incredible education but barring the invention of a time machine, it is a little impractical. I have spent some time visiting schools in KwaZulu Natal and was lucky enough to experience some of Africa’s amazing wildlife at Hluhluwe park and the St. Lucia wetlands. I think my choice would be to visit some of the wider plains of Africa to experience a wilder environment. It is an awe inspiring continent. 6. Man, it’s been a long time since one of these! Nice to see it make a return! Answer: Failures are inevitable but how we deal with them is of the utmost importance. Never give in. This does not mean that you can’t rest or rethink; it does not mean that you have to push on blindly in the same direction; it simply means that you must not be overcome by failure. Strength comes from the ability to pick yourself up and have another go and the satisfaction of your hard earned success is its own reward. Answer: A lot of the time that I spend in nature, I have responsibility for a group of people and aim to ensure that they have the best experience possible. At such times, when the day is at its close, I love to be by the fire with people who I am meeting for the first time or with my friends and colleagues. When I go out by myself, I like to walk slowly and sit quietly. Animals come very close by when you sit still for a while and you are constantly surprised by what you encounter. Listening to the sounds that surround you and observing the animals or even plants that make them, helps you to understand and link some of the complex strands that go into making up the tapestry of nature. The skills that we learn and practice are a vehicle that allows us to enjoy the natural world at its fullest. Answer: You don’t need a lot of money to start. The most important thing is to get out and start to apply what you read. Even in the largest city, you will find plants that are useful in Bushcraft; look in parks, walk canal towpaths and observe the trees that may line some of your streets. Start looking for the sign left by animals that frequent these places and use the clues to lead you to observe the animals themselves. All these things are possible and free, you just need to step outside and enjoy the learning. Answer: The Millbank bag is a very reliable piece of kit but it is designed to do a very specific job. The only thing that it will remove is the larger, macroscopic particles that are suspended in water. It will not kill or remove pathogens. 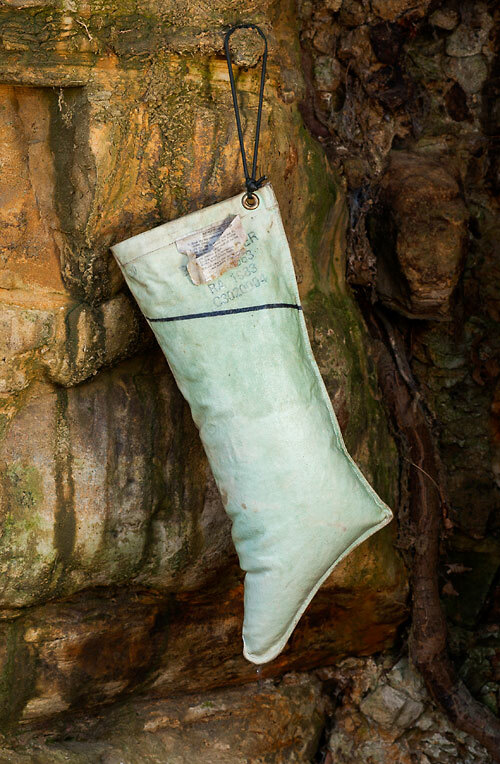 The way that we prefer to use these bags is to run our water through them and then kill any organisms by boiling. For this to be an efficient process, the bag must be maintained in clean order and thoroughly saturated before filling. Once full to the top, the water must be allowed to run until the contents are level with the printed line on the outside of the bag; the remaining water can then be collected as it drips and subjected to further treatment. Answer: We tend not to distinguish between traditional and modern but rather ask ourselves what works and what does not. The most important thing to us is that the tools and techniques that we use and rely upon, are reliable, practical and efficient. There should be no romantic notions with regard to the old ways and no false assumptions that new is always better. Try things out and use the skills and equipment that are best suited to what you do. Woodlore has spent many years honing these very things to a high degree and Ray is incredibly practical in this respect. Keith has enjoyed reading and answering some of your questions; we hope you’ve enjoyed it too. We’d like to thank everyone who sent in their questions for Keith and congratulations to Ciaran, whose question was picked by Keith as his favourite. Ciaran wins a £20.00 Woodlore Voucher for his entry.